If I remember correctly, Saunders was awful at the start of last season. Anyways, this season he's gotten off to a much better start (maybe it's cause of the beard). 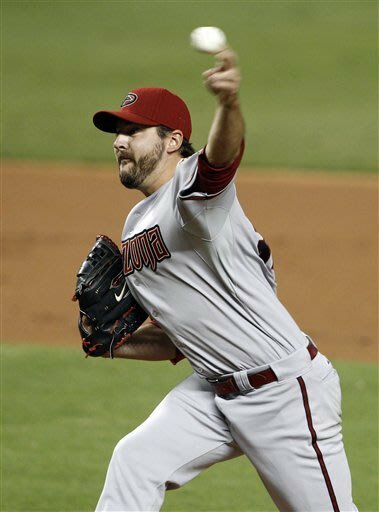 The veteran of the Diamondback's rotation pitched a three-hitter against the Miami Marlins, lowering his ERA to a stellar and MLB leading 0.90. He won't keep it up, that's for sure, but the D-backs won't need their pitchers to toss three-hitters in order to win, which is also for sure.